Butler’s Austin Greaser shot a 66 to earn co-medalist honors at the Centerville sectional tournament on Monday. Butler placed second overall. 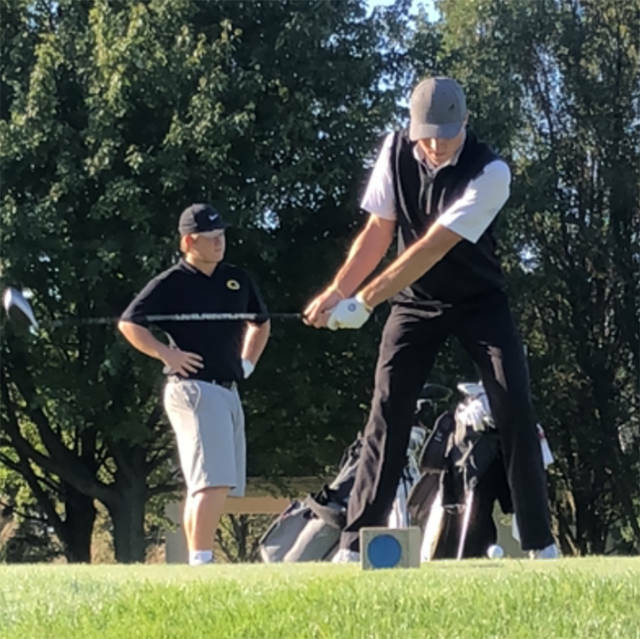 CENTERVILLE — Austin Greaser fired a 66 and was co-medalist and the Butler boys golf team placed second overall on Monday to advance to the Southwest District golf tournament. Butler shot 313 as a team with Greaser at 66, Michael Brandt shooting 82, Niels Princi and Jestin Love at 83, and Ben French at 85. Centerville was the overall winner with a 287. Springboro (315) and Lebanon (318) were the other team qualifiers to District. Greaser’s 66 tied with Tyler Goecke of Carroll for the top position overall, five strokes ahead of three players who shot 71. Butler will advance to the Division I District Tournament to be held Thursday, Oct. 11 at Beavercreek Golf Club.